As a Firefighter, the Firefighters Burn Institute is your charity. We were founded in 1973 by one of our own! The Firefighters Burn Institute is Firefighter run and managed. Not only do we help the community of burn survivors, but we also help our own. We are now able to respond to the Burn Unit when one of our own is injured. 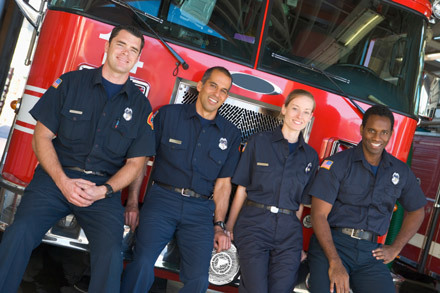 We have the ability to assist the injured Firefighter’s family and fire department. Without the support of our local Firefighters, we are nothing more than another charity. Being a “Firefighters Charity” makes us stand out from the rest! It is really easy to contribute to the Firefighters Burn Institute through payroll deduction. Your payroll deduction forms are easily downloaded at the bottom of this page. And if your department is not listed below, please let us know! Remember that no matter how big or small your contribution is, this is your charity and everything you give, helps us serve you. We are a registered nonprofit 501c (3) and your donations are tax deductible.